There were so many ways they could've gone. The majority of you that voted wanted me to work in paper (such anguish -- haha! ), so I did. I'm not quite sure how I ended up with this version, but it certainly wasn't my first attempt. Surprisingly, the biggest challenge was making something that would be a compliment to the outer frame and not be overwhelmed by it. A couple of my initial designs were too delicate or small and seemed to disappear inside the ring. Another challenge (one which I face with all tutorials) is that I wanted to create something that would be very easy to replicate and still look interesting. Incidentally, although I call this a challenge, it is one of my favorite parts of the process. 1. Paint the entire ring white. Set it aside to dry. 2. 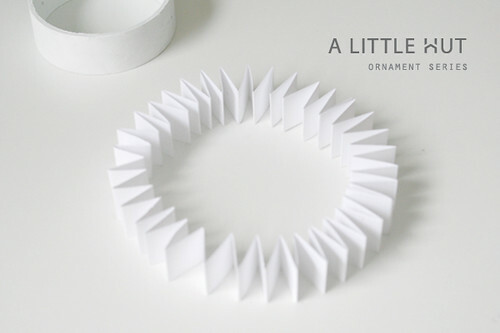 Cut white strips of card stock that are slightly narrower in width than the width of the cardboard ring. 3. Glue the strips to one another by overlapping 1/4" (5mm) of each end of the strips. You should end up with a strip that is at least 60" (152cm) long. 4. Fold the strips accordion style at 3/4" (2cm) intervals. Glue the opposite ends of the folded strip to form a full circle. 5. Using the push pin or something similar, make one hole in the center of the width of the ring. Thread a length of embroidery thread through the hole that is long enough to hang the ornament. 6. Tuck the ring of folded white strips inside the card board ring. 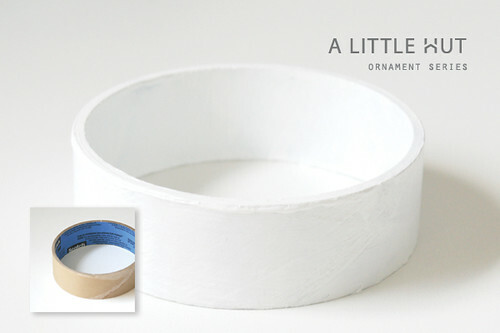 Add dots of glue to the edges of some of the outer folds of the white paper and glue to them to the inside of the ring. 7. 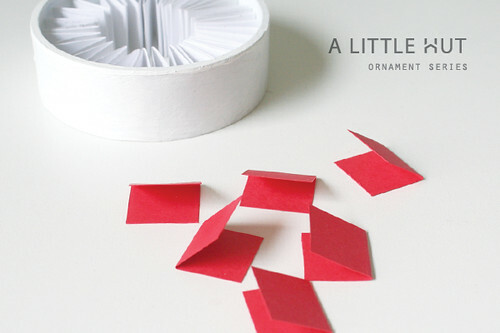 Cut six strips of red paper that are the same width of the white strip and twice as long as the height of the folds. Fold each red strip in half. 8. Tuck the red pieces inside the folds of the white paper to form a 6 point star. You may need to move the pieces around several times until you find the ones that make the star look symmetrical. 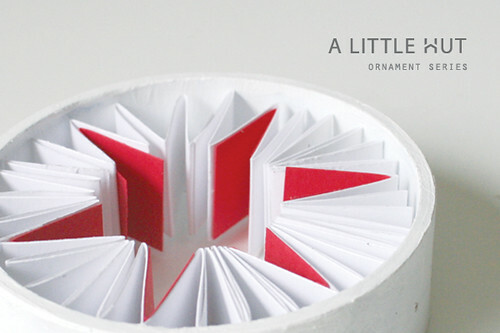 Once they are in the right place glue the red paper to the inside of the accordion folds. - If you don't have a cardboard ring make your own ring by creating a circle with a strip of card stock that wraps around twice. 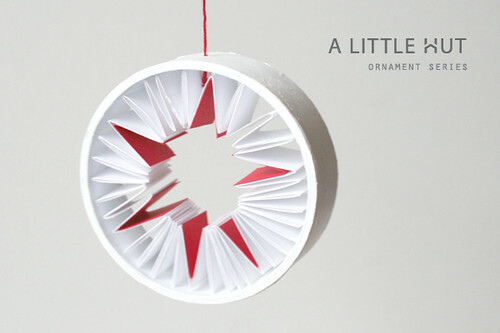 - To make a "greener" version of this ornament use old book pages or magazine pages instead of the white card stock. You wouldn't need to add the red paper simply because the magazine paper would already be colorful enough. That's it! Simple and easy. Right?